If you knew Hariharan, you would agree that he is a kind, friendly and decent man. And that he loves animals, especially cats. But what you would find striking about him would be his commitment to his family. He is a responsible son and a loving brother. My name is Praveen, and as his Brother, I can see the affection in his eyes even now – when he is battling for his life in the ICU and cannot speak a word. Right after Breakfast, Hariharan was Getting ready for college. and his father drove his bike to drop his son. while dropping his son the Car with the high Speed crashed their bike both of them, Now he is battling for his life. 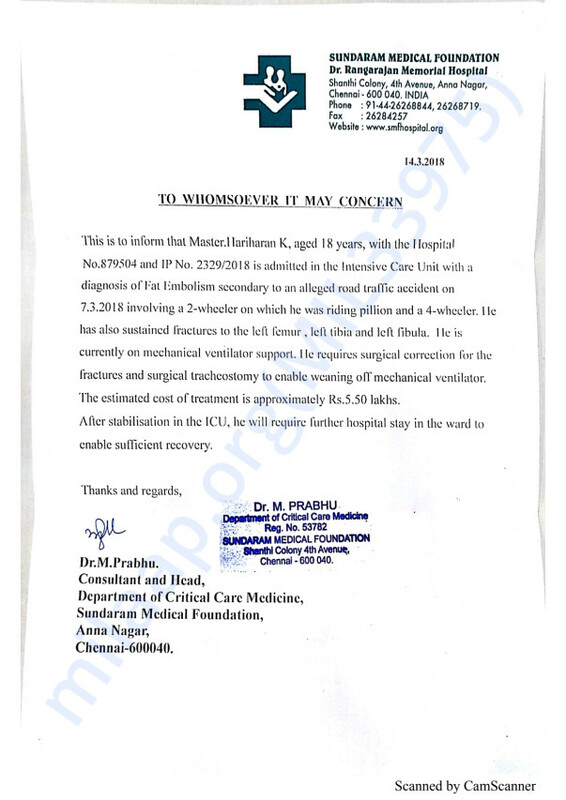 Hariharan needs to be in the hospital and needs two major surgeries. After that, he needs medical care at home, which includes hiring private nurses for him. 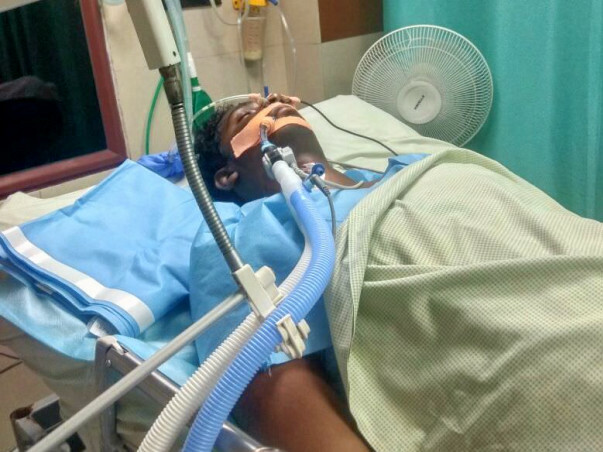 My parents and I have spent nearly Rs 3 lakhs on his medical expenses alone. We already spent all the money that we had saved for his Education. Please help us save him.